Al Noor Mosque in Christchurch. On March 15, Brenton Harrison Tarrant, 28, killed fifty men, women, and children and wounded fifty others in two mosque attacks during Friday prayer services in New Zealand. Tarrant live-streamed first-person footage shot from a camera he was wearing as he attacked the Al Noor Mosque in Christchurch. He left behind a seventy-four page apocalyptic terror manual that describes his rationale for murder. His greatest inspiration is Anders Breivik, the Norwegian mass murderer who gunned down sixty-nine teenagers in 2011 on an island nineteen miles northwest of Oslo. 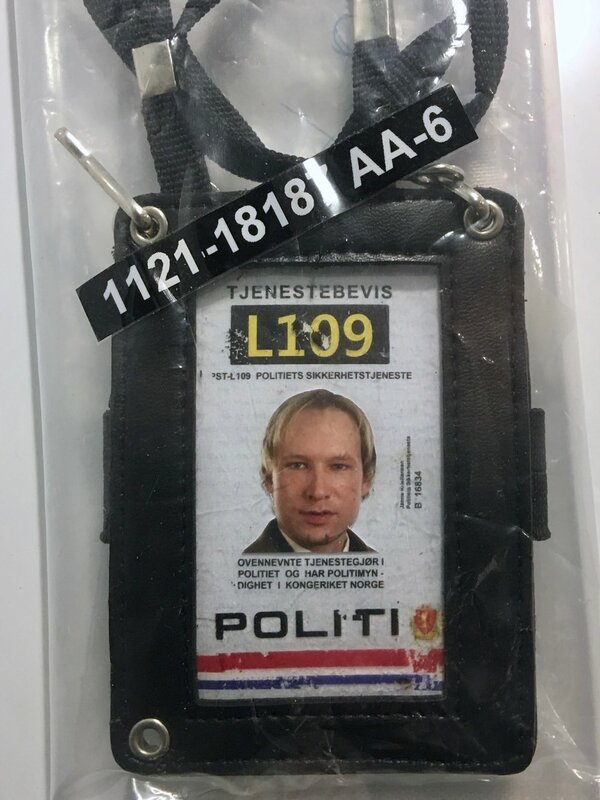 Breivik also left behind a manifesto describing his motives. Tarrant also credits Dylann Roof as an inspiration. Roof killed nine African Americans in a Bible study class in Charleston, S.C. in 2015 and posted a manifesto online before his murders. He wrote a second one from his jail cell. Tarrant’s manifesto is a screed against immigrants, Muslims, Jews, democracy, capitalism, and Westerners who convert to Islam. He writes that Communist China, an ethnic monoculture with a deplorable record of abusing minority populations, is the country with “political and social values” closest to his. Tarrant also expressed worries about plunging birth rates in Western countries, with empty nurseries, full casinos, empty churches and full mosques. “Every day we become fewer in number, we grow older, we grow weaker,” he laments. He cites Madonna, Freddie Mercury, and Michael Jackson as symbols of the West’s nihilism and degeneracy. Despite these virtues, Tarrant says he believes that Muslims in the West are “invaders” who must be driven out of Western lands. “A Moroccan may never be an Estonian much the same as an Estonian may never be a Moroccan. There are cultural, ethnic, and RACIAL differences that makes interchanging one ethnic group with another an impossibility.” he says. He cites the United States as a country that proves that people of different ethnicities cannot coexist. “The United States is one of the most diverse nations on earth and they are about an inch away from tearing each other to pieces,” he writes. He hopes that his attacks will provoke a “civil war” in the United States over the Second Amendment, leading to a balkanization of the United States along racial lines. “The environment is being destroyed by overpopulation, we Europeans are one of the groups that are not overpopulating the world. . . Kill the invaders, kill the overpopulation and by doing so save the environment." “The Europe of the future is not one of concrete and steel, smog and wires, but a place of forests, lakes, mountains and meadows,” he writes. Tarrant’s manifesto evokes a sense of tenacious heroism and courage in the face of death by reproducing poems by Dylan Thomas, Rudyard Kipling, and William Henley. He opens his tract with “Do not go gently into that good night.” He concludes with “Invictus.” In an attempt to endear himself to his audience, Tarrant peppers his manifesto with humorous anecdotes. Brenton Tarrant is becoming a sickeningly familiar figure in the modern West: an angry, disaffected, lone wolf who finds purpose and community online with extremists who offer an escape from the wrenching dislocations of modernity through a blood-soaked path to redemption. “White ISIS” is the term New York Times contributor Wajahat Ali gives to extremists like Tarrant. His manifesto resembles a ISIS recruitment video, giving a heroic and cosmic meaning to an apocalyptic act of terror. The murderous deeds of Brenton Tarrant have propelled him onto the world stage. His manifesto will circulate for years to come in the dark corners of the internet, where it will claim many more victims.